HomePoliticsAre the Democrats Bent on Suicide? The unemployment rate when FDR took the oath in 1933 was 25%. It never fell below 14% through the 1930s. In June 1938, despite huge Democratic majorities in Congress, FDR was presiding over a nation where unemployment was back up to 19%. Take Back Your Power DVDs at AFP Store. Among the endorsers of this Green New Deal is Sen. Cory Booker, who compares the battle to stop climate change to fighting the Nazis in World War II. Sens. Kirsten Gillibrand, Kamala Harris, and Elizabeth Warren have all endorsed it. Sen. Bernie Sanders, who calls climate change “an existential threat,” was an original co-sponsor. 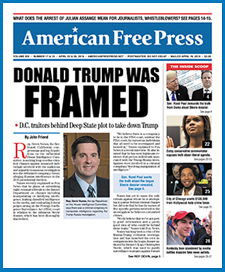 New at AFP’s Online Store.